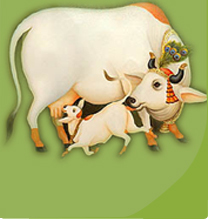 Gomatha Goshala is a Chartiable Trust that protect, safegaurd and maintain the holy cows. 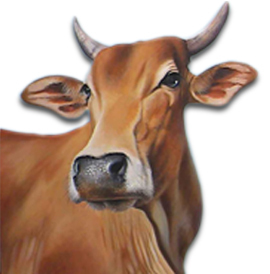 You are all aware that the cow is considered on par with the Goddess by the people of hindu religion. Cow is worshipped every friday by performing pooja. Many festivals in the temple and functions in the houses are celebrated only after performing Go-pooja. It helps the human beings in so many ways, Cow's milk and its products give health to the young and the aged people and helps them to lead a healthy life. The sacred ash made by cow dung is given to devotees in the temples as Vibuthi and this Vibuthi prevents diseases like cold and severe headache. The urine and the cow dung are natural fertiliser for agricultural land. Such a worshipable cows are mercilessly sent to slaughter houses, when they are aged or while they attain the non-productive age. In the slaughter houses, the sacred cows are killed in a barbaric and cruel manner for their flesh, skin and bones. It is a great sin and against the basic tenets of the Vedas and sacred scripts on Hinduism. In order to prevent this sinful act of killing the cows or sending the cows to slaughter houses, a few state governments in India have already enacted laws prohibiting it. But, unfortunately, the killing of the sacred cows is going on unabatedly in many parts of India without minding the sentiments of the Hindus and cruelty involved in it.